Picturesque mountains, lost civilizations, and 1 of Russia’s 7 wonders are waiting for you on the border of Europe and Asia. The food there is also very tasty. Is Russia European or Asian? Where does winter forever tighten its grip? Who (or what) built the “Devil’s Town”? Visit the Urals to search for the answers. The “kilometer zero” can be found in almost any city. 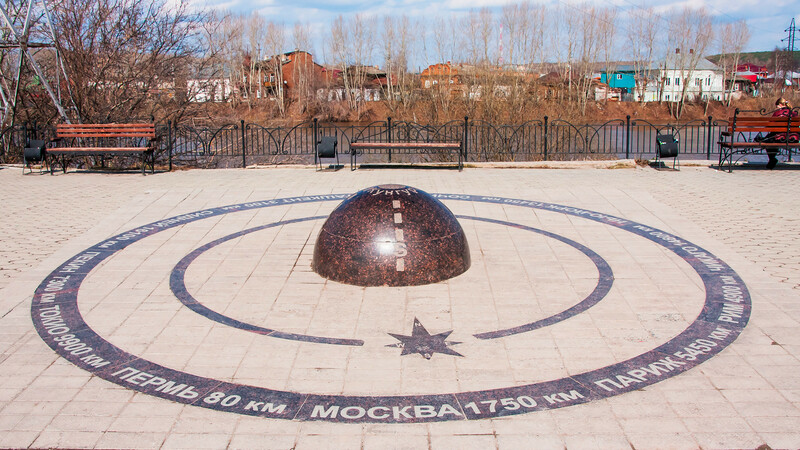 But here in the small merchant city of Kungur (80 km from the city of Perm), there’s a monument to the “navel of the world.” It’s located on the bank of the Sylva River at the crossroads of seven paths and surrounded by a belt with the names of other cities. You should sit down on the naval and stretch your legs toward to the city you’d like to visit - and wait until the Universe realizes your dream. Actually, in the winter the titles of the cities are usually covered with snow so you might have to sweep it away first. The Kungur Ice Cave is probably one of the most popular destinations in the Urals and the oldest subterranean attraction in Russia. 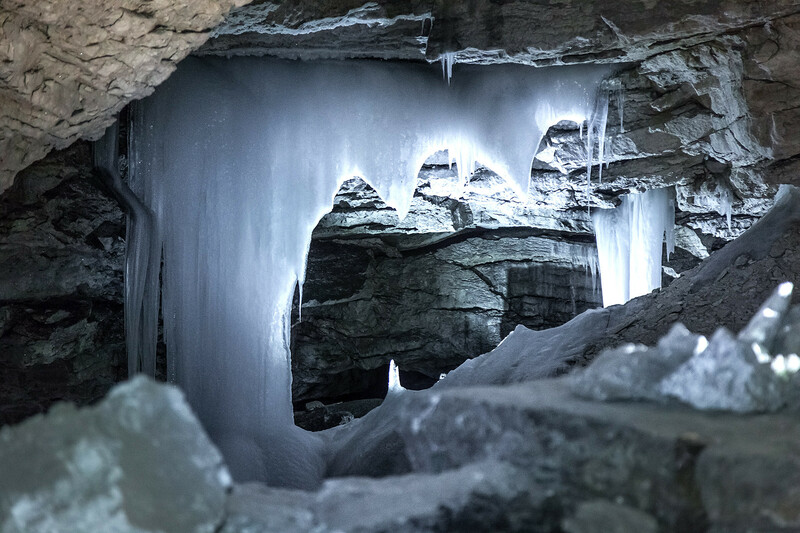 It’s been known since the 18th century and draws tourists with its huge ice formations and frozen lakes that don’t melt even in the summer. Look at these photos! Find 30 more “European” villages in the Chelyabinsk Region occupied by Russian Cossacks in the mid-19th century. Have you heard about them? If not, read this inspiring story. The most well-known anomalous zone is located in the Perm Territory (about 160 km from Perm). 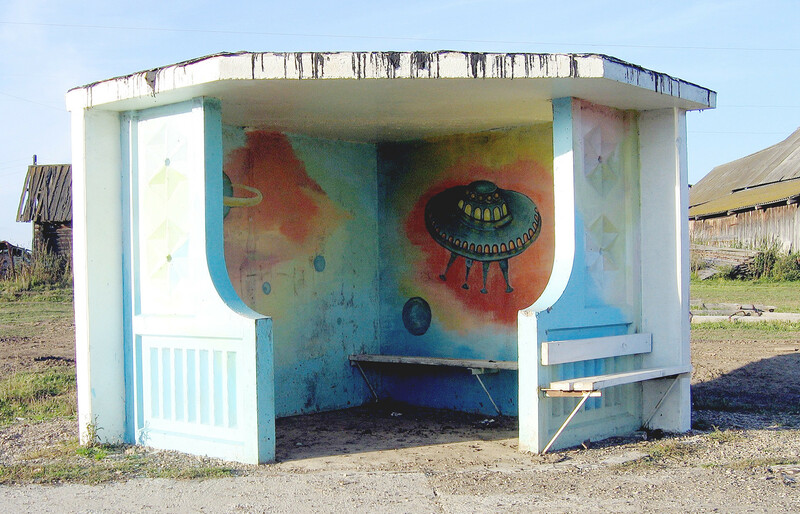 The village of Molyobka has attracted ufologists and tourists since the 1980s. And strange things still happen here. How might you explain circles in the grass at Horrors’ Glade or the mysterious Small Pyramids? 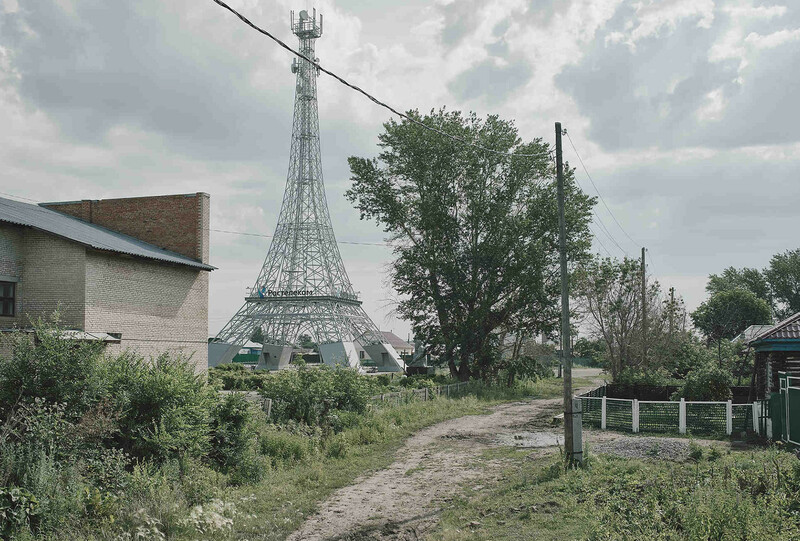 Some locals believe there’s even a UFO Cosmodrome. One area is called the Phone Box: It’s the only place (four meters squared) where your mobile phone catches signal. Weird! A lot of super tasty food - that’s what really waits for travelers in the Urals. No matter what city you’ll stay in you won’t be hungry. The main dishes of the region are dumplings (pelmeni in Russian), posikunchinki (small fried pastries with meat), and shangi (open cakes with potato dough). 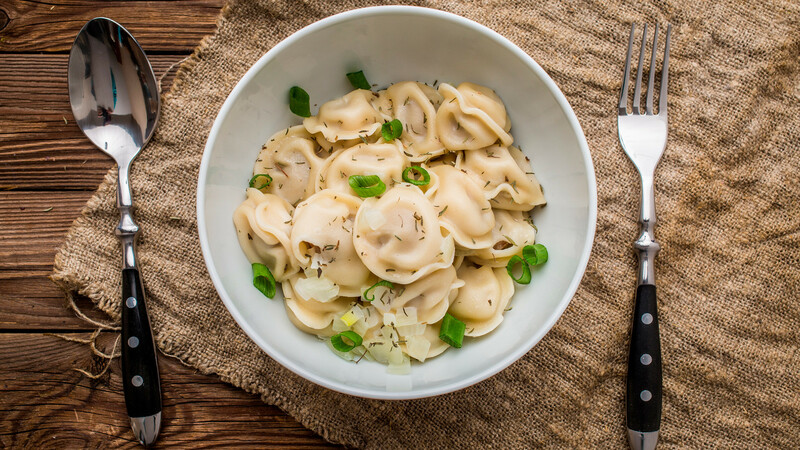 Here you can try dumplings with various fillings: For example, in Perm, they mix meat and cabbage, in Yekaterinburg, they cook pike pelmeni. Traditional Ural dumplings are usually stuffed with three kinds of meat: Beef (45 percent), lamb (35 percent) and pork (20 percent). Sour cream is strongly recommended! Remember - Ural desserts are delicious as well. The “Stone Belt of Russia” - that’s what the Urals was called in olden times - stretches for 3,200 km. The Ural mountains separate the European and the Asian parts of Russia. One of the most ancient mountains in the world is also located here. Karandash Mountain is 4.2 billion-years-old - while the Earth is 4.6 billion-years-old. 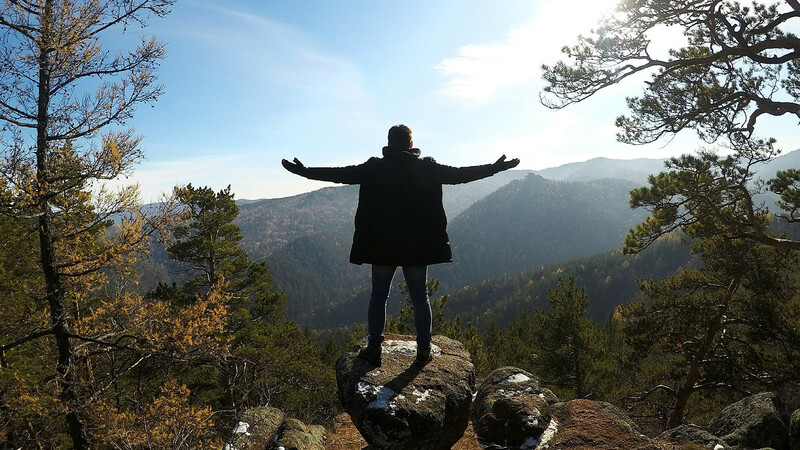 The Ural Mountains are also packed with natural resources: Copper, malachite, beryl, pyrite, amethyst, topaz - and you can find souvenirs made from the Urals gems everywhere. There are a lot of hiking routes you can follow but it’s better to explore the mountain with a local guide, just to be on the safe side. Many objects and structures that once belonged to ancient civilizations are regularly found here. Recently in the Sverdlovsk Region 350 dolmens and megaliths were unearthed. 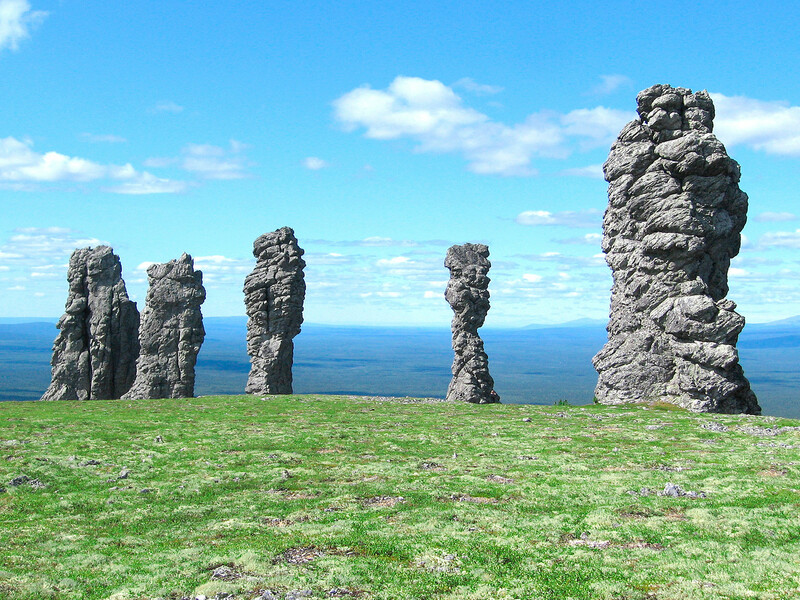 In the nearby Perm Territory, there’s an area of giant stones called “Devil’s Town.” And it looks like a real town! Some scientists say this place was the river’s estuary millions of years ago. But the most famous megalith complex in the Urals is the fortress of Arkaim, which is often compared with Stonehenge in England. This place has a lot of names - it’s very unlikely you’ll be able to pronounce the most common one correctly initially. The Manpupunyor Plato can be translated as “The Small Mountain of Idols.” Six rock formations from 30 to 42 meters tall stand in a row, while the seventh stands alone. According to legend, these seven rocks were giant men who wanted to conquer the locals but were turned into stones by a shaman. In fact, these formations were created when the mountains eroded. The way to Manpupunyor Plato is really long: It’s located on the Pechoro-Ilyinsky natural reserve. 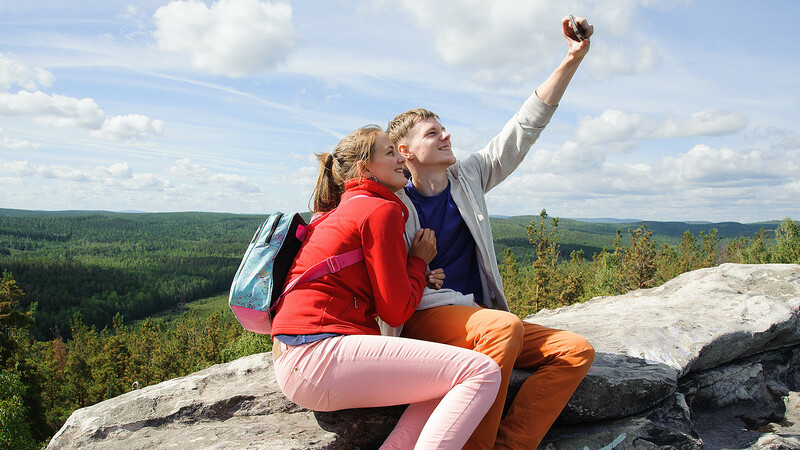 The easiest way is to take a helicopter tour from Perm for one day. The walking tour lasts two weeks! 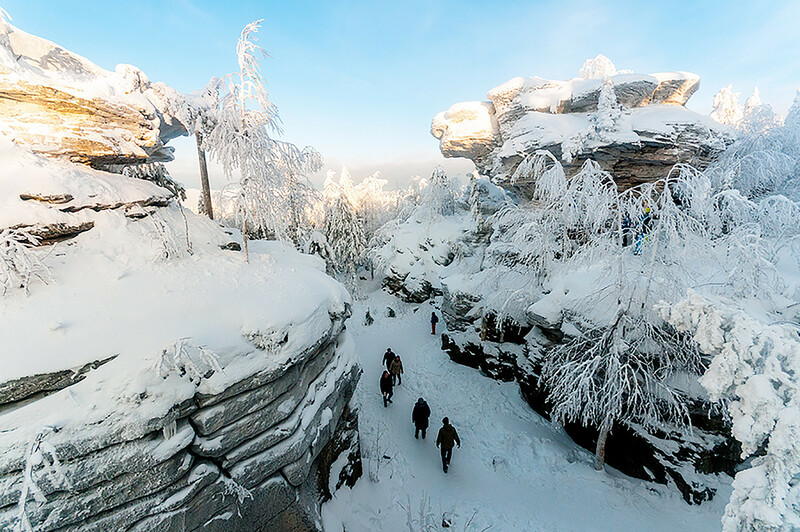 In 2008, Manpupunyor was listed as one of the seven wonders of Russia. Classical ballet and opera are popular in the Urals. The remarkable conductor Teodor Currentzis has settled in Perm Theater of Opera and Ballet and spearheads excellent productions. 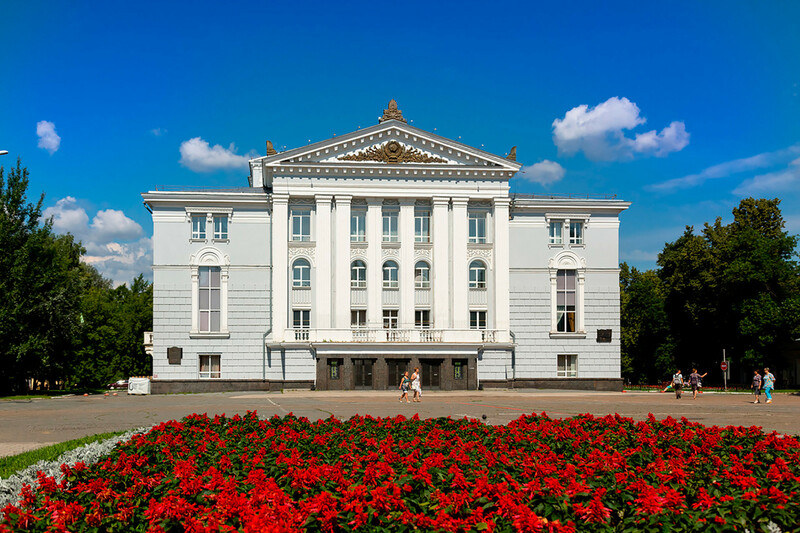 Yekaterinburg has become a magnet for ballet lovers after Viacheslav Samodurov became the company's artistic director. He’s brought his experience as a former principal dancer at the Dutch National Ballet and Britain’s Royal Ballet to the region. 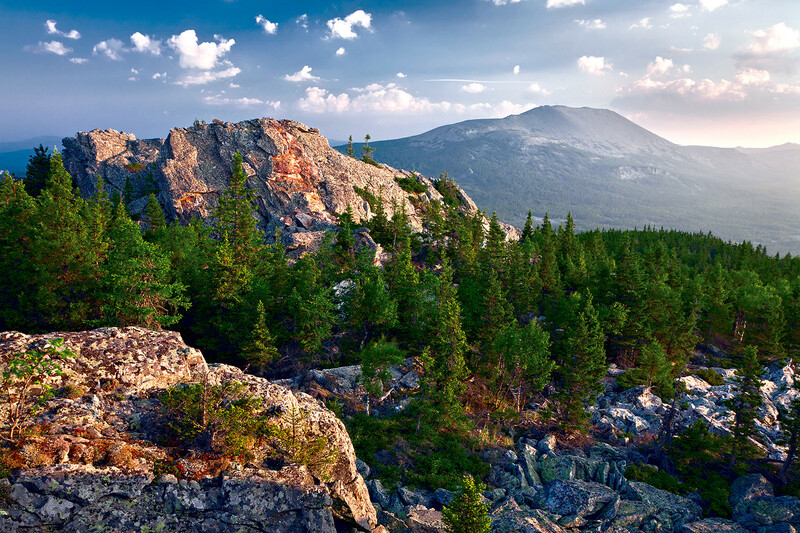 The Urals is a Mecca for naturalists, travelers, and those seeking stunning views. Just imagine the mountains sheltered with a green blanket of taiga forest and a horizon that never ends. Are you ready for an adventure?